Over the knee boots are making quite the comeback and I love comebacks because it usually means I already have the item in my closet, case and point- these boots. 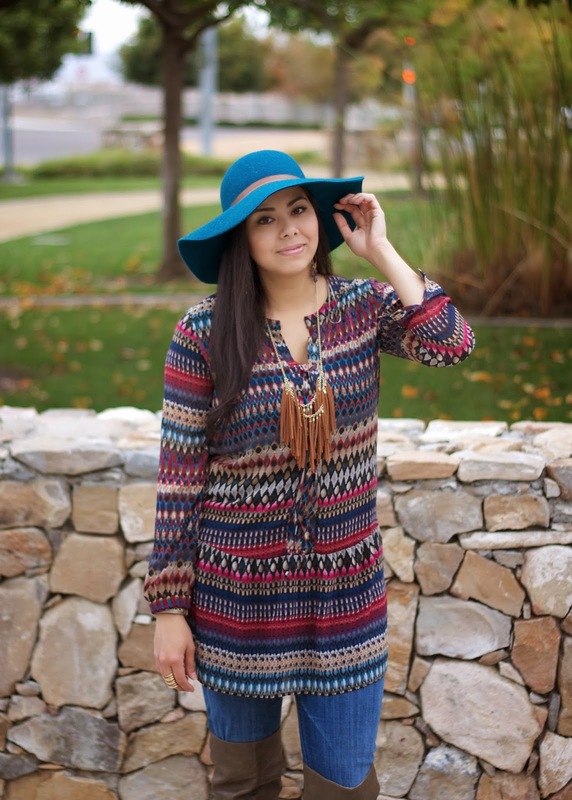 I had forgotten how awesome they were and when paired with this tunic (previously seen here) that carries all of the main colors of Fall and a floppy hat I thought to myself- "I can't get more Fall-looking than this!" When my boyfriend saw me he's like "so, is this your boho look?" (sarcastically, of course)- gotta love boyfriends, I just taught him what boho meant so now he likes to identify it every time I dress bohemian-ish. 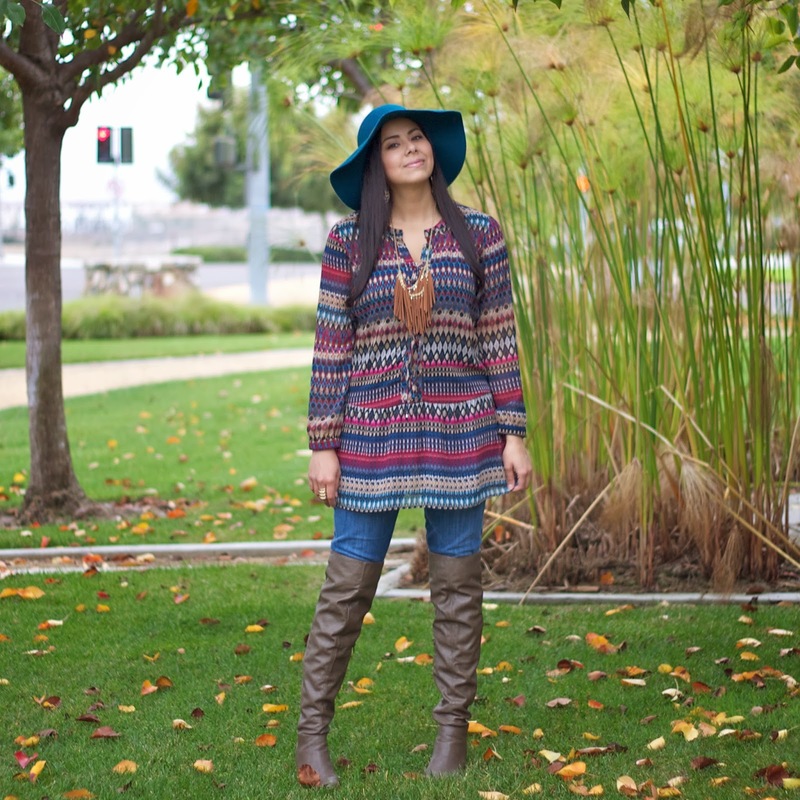 About the Outfit: Forever 21 Tunic (similar), Hudson Jeans, Charlotte Russe floppy hat (similar / similar) and over the knee boots (similar), Tanya Kara Cuff and Ring c/o. Pictures by Oscar Nava. Don't forget to enter my Statement Necklace giveaway HERE! Very boho and very chic! Love the top - such beautiful colors! Great outfit, it's so appropriate for Fall. My favorite piece is the hat, you are really pulling it off. 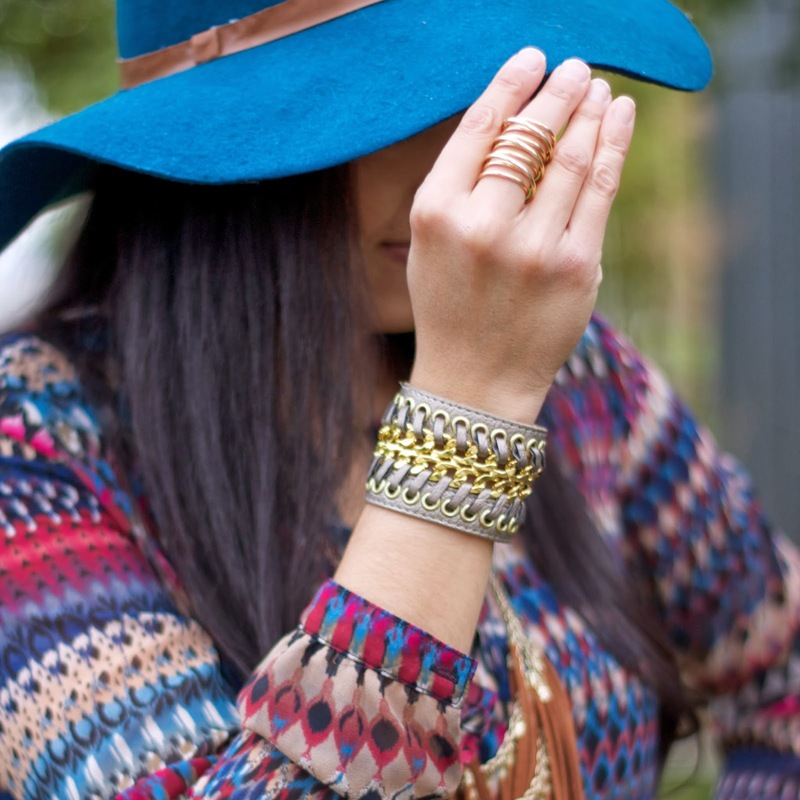 Oo love this outfit esp the floppy blue hat! So cute!! I simply love this outfit! 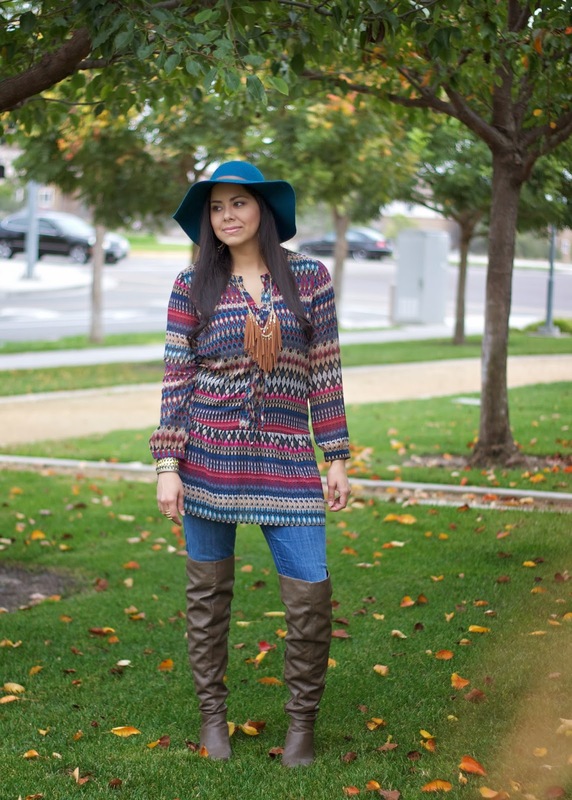 That tunic is gorgeous and those boots are awesome! Love that dress/top! So BOHO! this match of colors is super nice! I adore it! That top is absolutely incredible! Paulina, you look gorgeous and I am adoring this entire look. Love that look, and it goes perfectly with those boots. That hat is awesome Paulina! I love over the knee boots Pau so I'm glad they're making a comeback. 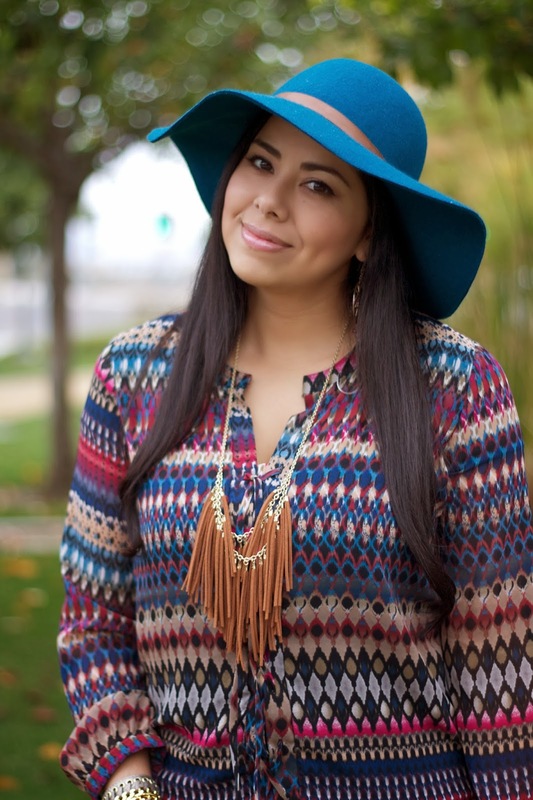 This whole look is perfect from the necklace to your hat and jeans. Very pretty photos! so pretty I love the colors! Your hat pairs so perfectly with your shirt! This hat is so fun! I absolutely love all the colors in your outfit. The hat is adorable! 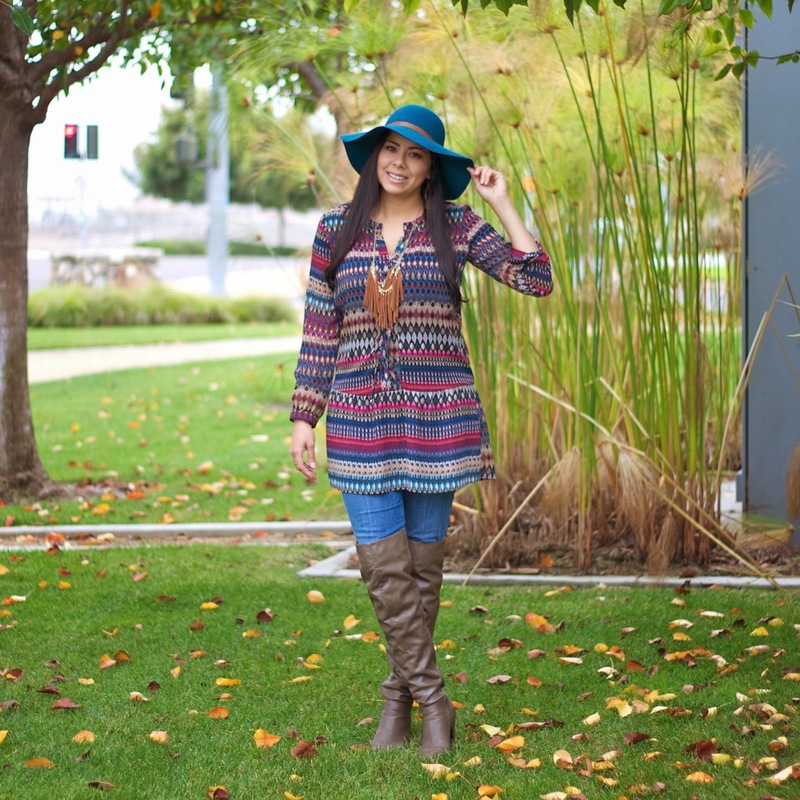 The colors in this outfit are perfectly balanced and I want that hat! You look cute! this outfit is the epitome of Fall, I love it. It's very glam but relaxed at the same time. I absolutely love this outfit, im loving the boho look! :) I'm really hoping to find some great over the knee boots hopefully this season. I love the color of your boots!